Thermal Cut Bluestone is bluestone that has been sliced so all pieces are a uniform thickness. The stones are then finished with a thermaling step where flame is applied to the surface of the stone to ensure they have a non-slip, consistent surface. Because of this, Thermal Bluestone is a great choice for pool decks as it's slip resistant even when wet. Blue Select refers to the color of the stone-this traditional blue color works great with both classic & contemporary styles. 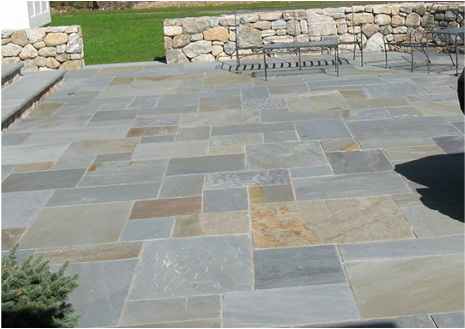 Thermal Cut Bluestone is bluestone that has been sliced so all pieces are a uniform thickness. The stones are then finished with a thermaling step where flame is applied to the surface of the stone to ensure they have a non-slip, consistent surface. Because of this, Thermal Bluestone is a great choice for pool decks as it's slip resistant even when wet. 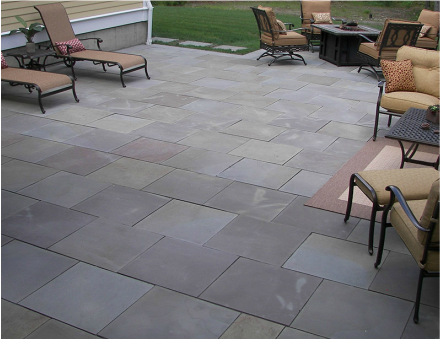 Multicolor bluestone exhibits many shades of blue, grey, tan & brown to create a patio that will match any existing color pallate. 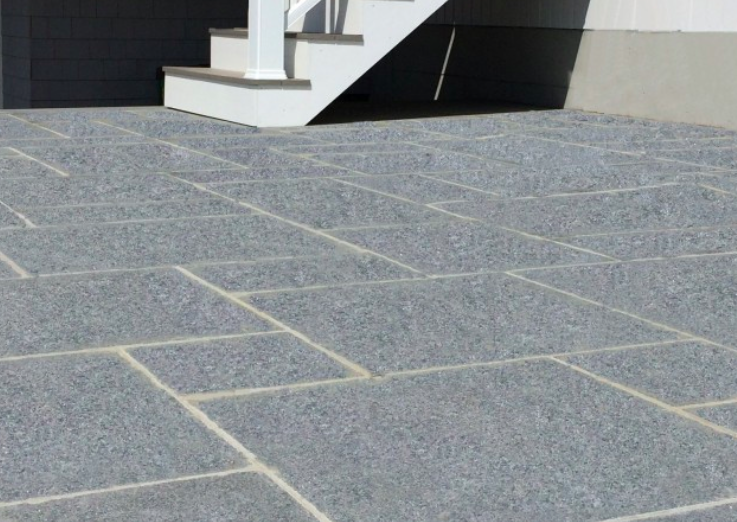 Blue Mist Granite is a very dense, durable blue-grey granite. 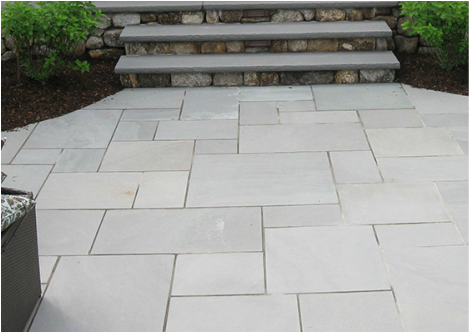 It's cut using the thermal technique to ensure a uniform thickness and non-slip surface throughout the stone. Because of the characteristics of granite, Blue Mist doesn't absorb heat like other stones, making this a great choice for a pool deck or bare feet.